Last week, several members of our team had the opportunity to attend a Ramah Professionals Conference in New Jersey. 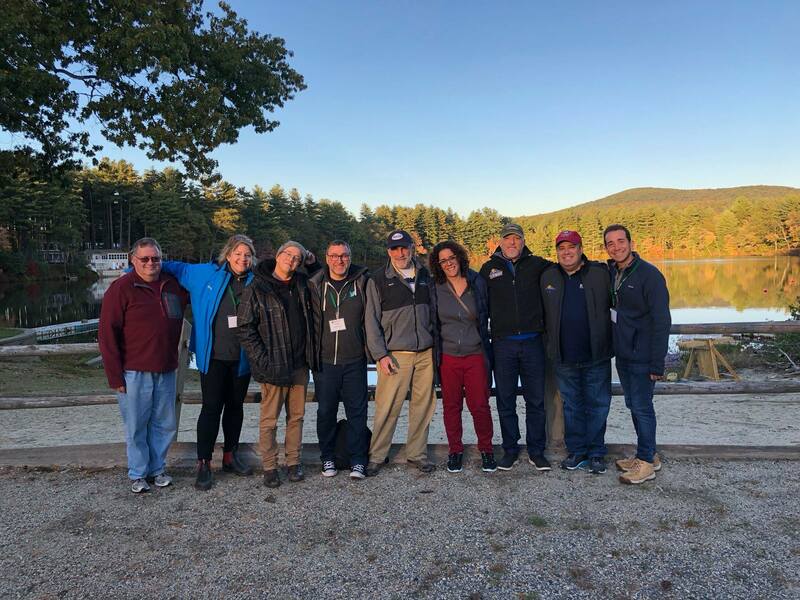 It was a gathering of about 100 leaders from every Ramah Camp and program in North America and Israel, organized by the team at the National Ramah Commission. 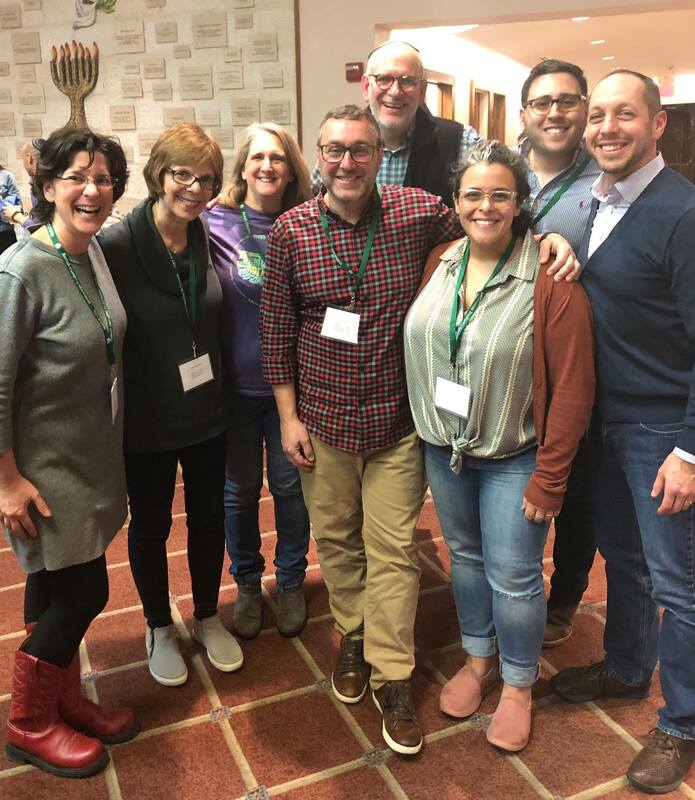 This was actually the second National Ramah meeting I’ve been fortunate to attend in my short time with Ramah Darom, and both conferences have reinforced the incredible power and deep connectivity of the Ramah community. I remember walking into the fall conference with a slightly nervous feeling in the pit of my stomach, knowing that as a Ramah “newbie” I’d likely know almost nobody. Thankfully I immediately recognized a few faces from my many years as a Ramah parent. 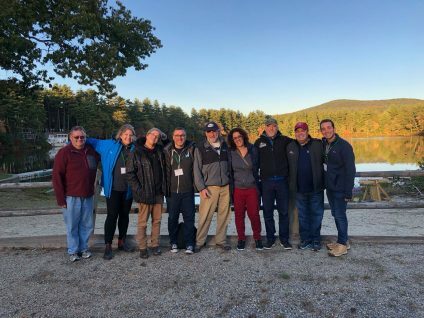 The first person I spotted was Ariella, the Camp Director of Ramah California; she had been Assistant Director at Ramah Canada back when my wife Beth was the camp doctor. It was great to see her again, share a long hug and hear about her three adorable kids. I then recognized Eliav, the Director of Ramah in the Rockies. We had met a few years ago on our son Ben’s last day of camp. Eliav was his usual friendly and gracious self and took the opportunity to thank us for our support after their devastating fire the previous summer. A couple of National staff from the Ramah Camping movement that I had met over the years – Mitch and Nancy – were huddled in the far corner. I walked over, we said a quick hello and they returned to their last-minute planning. So as it turns out, I did know a few people. Phew. But then the Ramah magic really started happening. 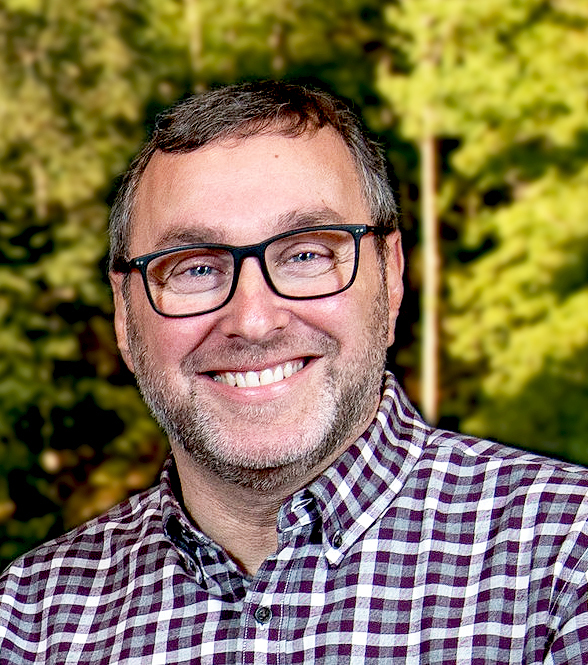 When I was introduced to Ed, the Director of Ramah New England, we quickly realized that he’d spent time with Beth on the Ramah Bike Ride the prior spring. Turns out several others at the conference had as well. Jared, one of the National Ramah staff members (someone I hadn’t ever met) connected the dots: he had met our oldest son Jonah at the Weinstein Ramah leadership conference. I then met Alana, the Assistant Director of Ramah Galim who excitedly exclaimed, “Wait, you’re Ben’s father, right? I love him!”. Ben had spent the summer working at the new Northern California camp and had clearly made an impression. When I met Meir who runs Ramah Israel, he instantly recognized my last name and was quick to tell me that our daughter Talia had done a great job leading davening during her time on Tichon Ramah Yerushalayim (TRY) the previous winter. The Ramah connections just kept coming and coming. Jordan, the new Director of Ramah Canada (a fellow newbie) had just met Beth for coffee in Toronto. Julia, the Assistant Director of Ramah in the Rockies, confessed that she was actively courting Ben for a job this summer (spoiler alert: he accepted). Amy, the Assistant National Director reminded me that her son had spent four months on TRY with Talia. By the end of the two-day conference, I realized I was directly connected to almost everyone in the room in some way. Six degrees of separation? More like one degree of Ramah connection! That’s the power of the Ramah community. Our two boys have experienced it first-hand on their college campuses where many of their fastest and closest friends are fellow Ramahniks. Wherever we travel as a family, at least one of our kids seems to have a Ramah friend they make a point of seeing. No matter where I go, I’m learning that I don’t have to look far to find a Ramah connection. In the time of the Beit Hamikdash, Jews from far and wide would flock to Jerusalem to offer sacrifices. On our family trips to Israel, I‘ve often tried to visualize what it must have looked like during Pesach, Shavuot and Succot: thousands of people from across the Jewish world coming together to celebrate our heritage and reaffirm their commitment. And there’s no doubt many connections were uncovered as Jews from different places met and shared their stories. Call it Jewish Geography: Temple Mount Edition. 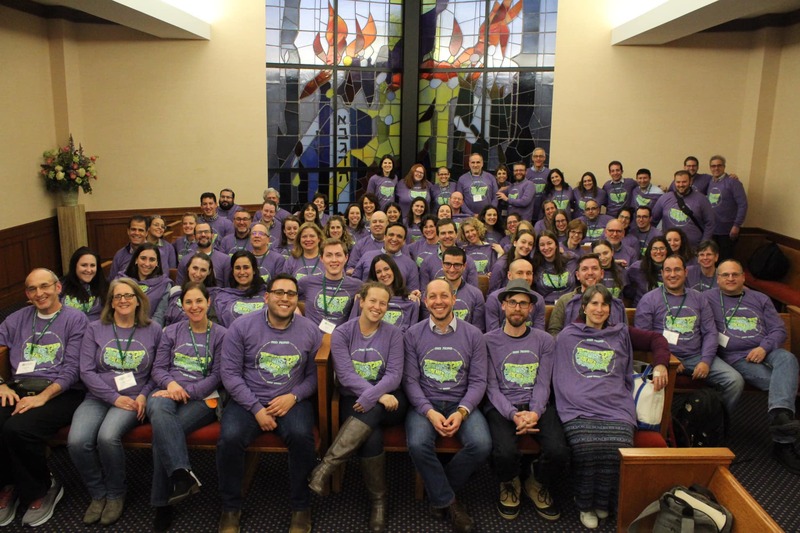 Coming together, celebrating our Jewish heritage, uncovering and deepening connections, building community: those ideas are at the core of the Ramah movement. That’s why I always love meeting and spending time with fellow Ramahniks. That’s why I love being part of this incredible movement.